Bowdish lab joins the circus. The lab that plays together stays (late nights scienc-ing) together, which is why the Bowdish lab had our annual retreat at Zacada circus school. Here we got some very sore muscles and discussed our successes and challenges of the past year and what our goals and ambitious are for the following year. Go Team! 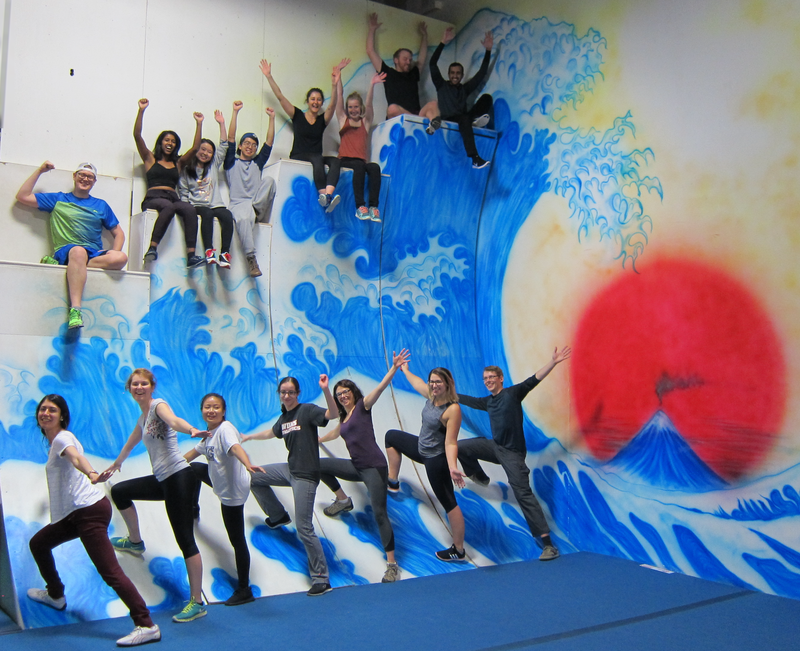 Our annual lab retreat for 2017 was at Zacada Circus school where we learned the trapeze, silks and ran up and down this ninja wall! Bottom: Sara, Janine, Helen, Jessica, Dawn, Allison, Christian. This entry was posted in News and tagged graduate students, post-doc, success!, undergraduate by Dr. Dawn M. E. Bowdish. Bookmark the permalink.